Description: From 6 inches to 1.5 foot tall. 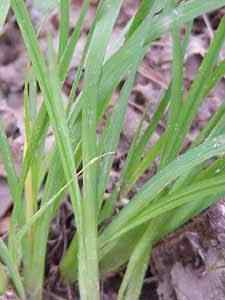 Leaves appear grass like but a closer look toward the base of the plant shows the resemblance to the all familiar iris leaves (Fan shape). 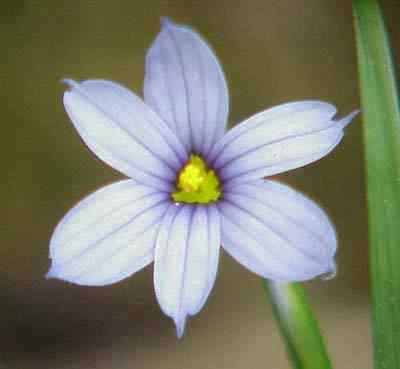 Flowers have 6 petals each tipped with a small point. Color varies from light blue to violetFruit is a small round pod.